Fellow teachers are often your best resource and there's no need to reinvent the wheel! 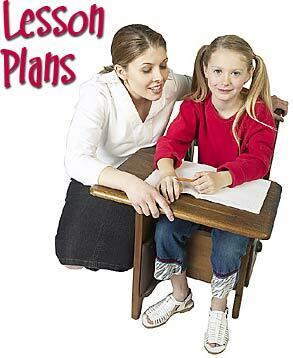 The Teacher's Corner has put together a great collection of lesson plans in all subject areas and for a variety of grades. Not only will you find great lessons on our site, but you will also find links to useful ideas on the Internet. Several of the lesson plans we offer include downloadable resources to use with your students. We are always looking for new ideas! Your creativity can help other teachers. Submit your lesson plan to us via email. Don't forget to include any additional resources another teacher may find helpful. Creative activities for your classroom that include a variety of artistic mediums. Teach your students the value of good health and nutrition. Lessons and activities that cover all aspects of math. Help your students hit the right note. Lessons and resources to help your students stay fit. Resources that cover a variety of topics such as: Centers, Reading Skills, Vocabulary, and more. Lesson plans and resources that are organized by the specific area of science. Resources across the spans of time. Make sure your students are developing their 21st Century skills. Resources that cover a variety of topics such as: Creative Writing, Parts of Speech, Vocabulary, and more.